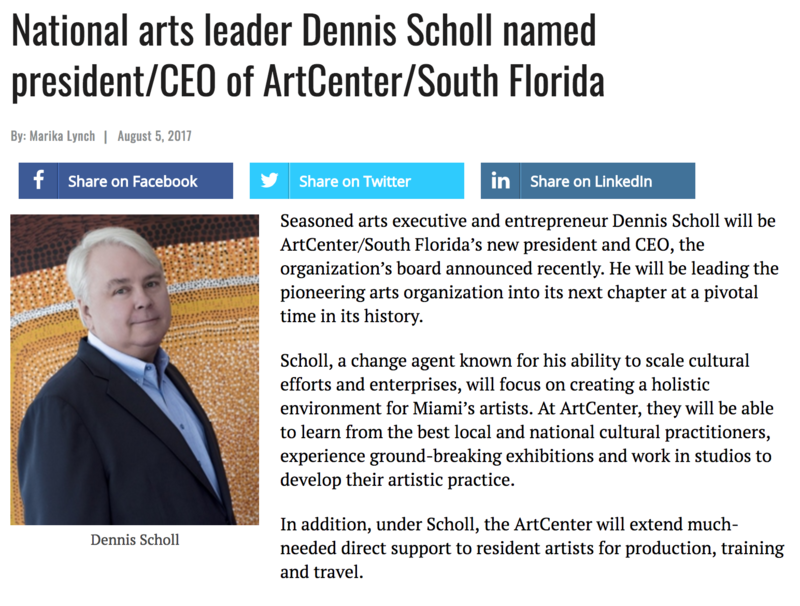 Seasoned arts executive and entrepreneur Dennis Scholl will be Oolite Arts’s new president and CEO, the organization’s board announced recently. He will be leading the pioneering arts organization into its next chapter at a pivotal time in its history. The ArtCenter, a major cultural institution in South Florida for three decades and recognized as one of the catalysts in the renaissance of Miami’s Beach’s famed Lincoln Road, recently sold its landmark building, providing the organization with an $88 million endowment to expand its role in serving the city’s growing cultural community.